MediChoice 7-quart Commode Pail Sets are designed to fit most standard commodes. They come in white with easy-grip handle and cover for convenience, and are autoclavable, meaning the pails are designed to withstand autoclave temperatures up to 134 degrees Celsius for 3 minutes. 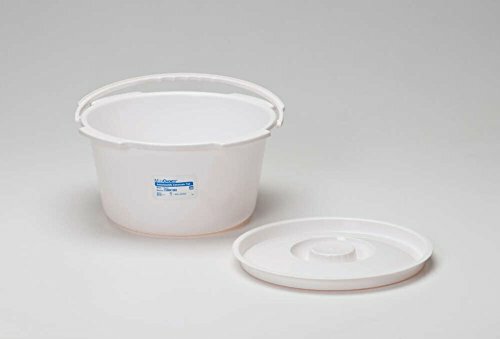 The pails are designed to meet Healthcare Common Procedure Coding System (HCPCS) code E0167. MediChoice is Owens & Minor's brand of medical-surgical products and durable medical equipment that is expanding to meet the changing needs of healthcare. MediChoice, your choice for quality, value and unmatched service. Search MediChoice for additional product offerings.